Ireland is a small agile economy and benefits from the ability of the Government and policy-makers to adopt and implement policy relatively quickly and to make changes where required. In this environment, professionals and decision-makers have been able to adopt and increasingly lead international good practice. Success stories which stand out include cluster developments in Life Sciences, ICT, Financial Services and Agrifoods; the recovery in tourism after the crisis of 2007/8 and the development of an indigenous research base over the last 15 years. These national success stories derive in no small part from the calibre of the policy-makers, professionals and executives across the integrated eco-systems in Ireland. It is this talent base which IDI taps into to bring deep domain expertise and a strong implementation ethos to all clients we work with. Ireland's Life Sciences sector has grown from very humble beginnings in the 1960s to reach global significance. Collaborative clusters in Pharmaceutical, Biotechnology, Medical Devices and Diagnostics have been a key element behind the remarkable growth of a sector that now employs close to 50,000 people. Ireland is the eighth largest producer of pharmaceuticals in the world and is home to nine of the top ten pharmaceutical companies. Ireland's internationally trading financial services industry, employing approximately 25,000 is centred on the Irish Financial Services Centre in Central Dublin. From 1989 when there was just one fund registered, the cluster has mushroomed to some 450 internationally and Irish owned cross border financial services businesses, operating in over 1,000 corporate entities. 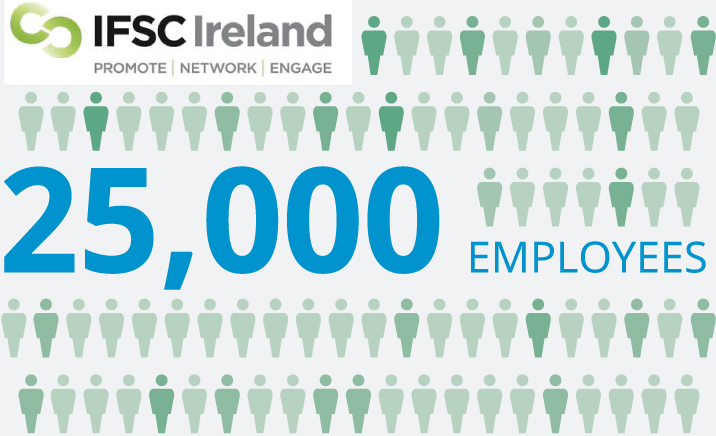 In addition, indirect IFSC employment stands at over 6,000 in professional services, and markets infrastructure (service provider) companies. The Information and Communication Technology (ICT) cluster is world-renown and continues to flourish. The top ten ‘Born on the Internet’ companies, the top three Global Enterprise Software companies and nine of the top ten global software companies are located in Ireland. 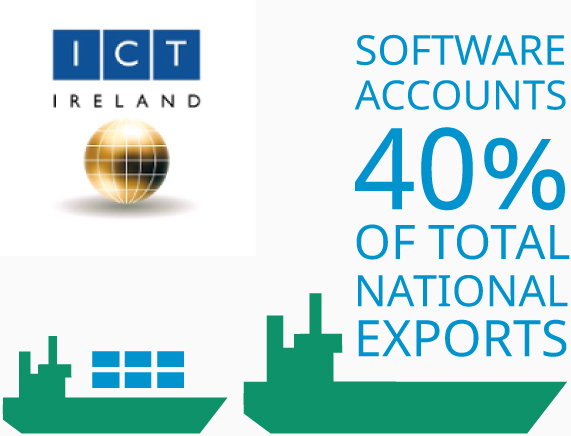 ICT accounts for 40% of total national exports. The current range of ICT companies is increasingly focused on smart infrastructure; analytics and big data; cloud; high tech manufacturing; apps content and mobile and digital services. In Agrifoods, Ireland is the 10th largest dairy export nation in the world. It has a strong base of indigenous food ingredients, craft foods, beef and pork manufacturers. In addition, close to 40 multinationals in food, drink and infant nutrition have a presence in Ireland, ranging from companies like Coca-Cola, PepsiCo, Diageo, Ferrero, Kraft, HJ Heinz, Wyeth, Abbott, Danone to Unilever and Pernod-Ricard. Quality ingredients have already drawn three of the world’s top four producers of infant milk formula to choose Ireland as a manufacturing base, from which they supply 15% of global exports. Around these integrated clusters, there is a broad and deep support infrastructure of companies providing support services including logistics, call center support, back office functions, localisation, data storage and high quality accommodation on zones and industrial parks. Tourism is the largest indigenous industry on the island of Ireland and is a key contributor to economic and social wellbeing across the country. The focus on quality has created an appealing visitor experience both in the cities and, in particular, in local communities away from the urban centres. During the 1990’s there was considerable investment in both training and the tourism infrastructure. However, the key strength of the sector is its ability to recover after sharp downturns – notably after 9/11 and the global downturn in 2007/8. Between 2007 and 2010, overseas visitor numbers fell from an all-time high of 8 million to 6 million. Corresponding revenue dropped from €7 billion to €5 billion. Responding to this crisis, the Irish Tourism Board developed and implemented Destination Development Strategy (2009 – 2012) and established the Tourism Product Development Programme. As a result of the Strategy, Irish tourism has returned to a position close to its 2008 peak. Professional across the tourism sector have gained respect and recognition for their approach to destination development, training, support to tourism businesses, destination promotion, quality and standards. Since 2000, the Government, through Science Foundation Ireland, has developed a community of 2600 researchers in Ireland’s higher education institutes, led by over 450 of principal scientists and engineers. This enhancement of research capacity and capability has resulted in Ireland ascending the international rankings of research capability with great speed. No. 8 in Materials Science. There are currently 12 SFI research centres. SFI researchers publish over 5,000 scientific papers annually and are engaged in over 1,900 international partnerships in 90 countries. The development of the research base has occurred in parallel to the strengthening of the technology transfer, seed and venture capital and entrepreneurship development structures.